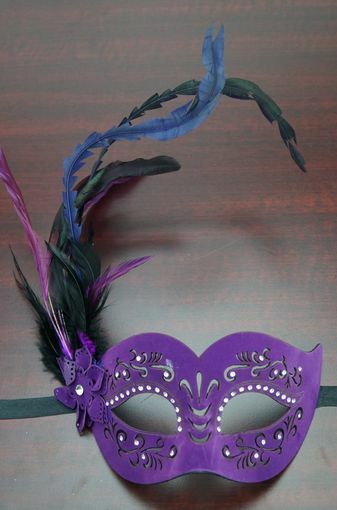 A thin, leather-like, flexible mask, adorned with clear jewels, a flower and feather cluster and jewel on the right side. The see-through designs are carefully carved out, and create a very unique mask design. A velvet-like finish completes the design. Comes with a black ribbon tie.